Alabama entered the United States in 1819 as the 22nd state. Alabama boasts 607 miles of shoreline along the Eastern Seaboard. The capital of Alabama is Montgomery, and its population was 4,863,300 as of 2016. Alabama has more than 50,000 square miles of land and nearly 1,700 square miles of water. The nickname for this state is the Yellowhammer State. Alaska became a state in 1959. Alaska's nickname is The Last Frontier, and it was the 49th state to enter the union. Alaska's population is 741,894, and it ranks 47th of the 50 states for population. The land area of Alaska is more than 570,000 square miles, and its water area is more than 86,000 square miles. Alaska's capital city is Juneau, and its state song is "Alaska's Flag." Arizona was the 48th state to join the United States, in 1912. This state's nickname is the Grand Canyon State, and the capital city is Phoenix. With a population of 6,931,071 people, Arizona is ranked 15th of the 50 states for population. Arizona has a land area of more than 113,000 square miles and a water area of just 364 square miles. The state bird of Alaska is the cactus wren. The nickname for Arkansas is the Natural State. Arkansas entered the United States in 1836 as the 25th state. This state ranks 32nd out of 50 for population, with 2,988,248 people residing in Arkansas. The capital city is Little Rock, and the state flower is the apple blossom. Arkansas derives from a Quapaw word for "downstream people." The 31st state to join the Union, California became a state in 1850. It's the top state for population, with 39,250,017 people living in this state. The capital city is Sacramento, and the largest city is Los Angeles. California's nickname is the Golden State, and it has 155,973 square miles of land and 7,734 square miles of water. Colorado entered the United States as the 38th state in 1876. Colorado has a population of more than 5.5 million people, and its capital city is Denver. This state's name originated from the Spanish word for the color red, which was chosen due to the color of the soil on the banks of the Colorado River. The state flower is the Rocky Mountain columbine. Colorado has a land area of more than 103,000 square miles and a water area of 371 square miles. Connecticut was the fifth state to become a part of the United States, entering in 1788. Connecticut's state nickname is the Constitution State, and Connecticut means "at the long tidal river" in Algonquian. This state has a population of more than 3.5 million people, and the capital city is Hartford. The land area of Connecticut is just 4,845 square miles, and the water area is 698 square miles. 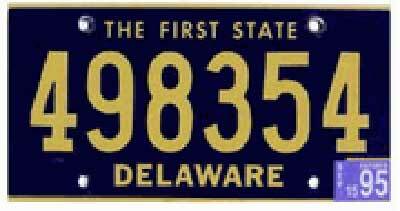 Delaware boasts the title of the oldest state in the country, entering the United States on Dec. 7, 1787. The capital city of Delaware is Dover, and the largest city is Wilmington. Delaware has a population of 952,065 people, and its state flower is the peach blossom. Delaware has 381 miles of coastline, 1,955 square miles of land area, and 535 square miles of water. Florida became a state on March 3, 1845. Known as the Sunshine State, Florida ranks 4th out of the 50 states for population, with 20,612,439 people residing in this state. Florida was named on Easter Sunday, and its name means "flowery." The capital city of Florida is Tallahassee. Florida has the second longest shoreline in the country, 8,426 miles. This state has 53,997 square miles of land and 11,761 square miles of water. Georgia was the fourth state to enter the United States, joining in 1788. Known as the Peach State, Georgia has 10,310,371 residents and is ranked as the eighth largest state for population. The capital state of Georgia is Atlanta, and this is also the largest city in the state. Georgia's state flower is the Cherokee rose. Georgia has 57,919 square miles of land and 1,522 square miles of water. Hawaii was the last state to enter the country, joining in 1959. Hawaii has more than 1,000 miles of shoreline and more than 4,500 square miles of water as well as a population of 1,428,557. The land mass of the islands is 6,423 square miles. People know Hawaii as the Aloha State, and its capital city is Honolulu. The state bird for Hawaii is the nene, and the state flower is the hibiscus. The highest point in the state is at the top of Mauna Kea, 13,803 feet above sea level. Idaho joined the Union in 1890 as the 43rd state. Idaho's nickname is the Gem State, and it has a population of 1,683,140 people. The capital of Idaho is Boise, and the largest city in the state is also Boise. Idaho's state tree is the western white pine, and the state flower is the mock orange. Idaho has a land area of 82,751 square miles and a total water area of 823 square miles. People call Illinois the Prairie State, and this state has 55,593 square miles of land area and 2,325 square miles of water. Springfield is the capital city of Illinois, and the largest city in the state is Chicago. Illinois means "warriors" in the Algonquin language. The state flower is the purple violet, and the state tree is the white oak. Illinois joined the union in 1818. Indiana became the 19th state in the United States on December 11, 1816. It's nicknamed the Hoosier State, and Indiana's capital city is Indianapolis, which is also the largest city in the state. The total population of Indiana is 6,633,053. The state flower is the peony, and the state bird is the cardinal. Illinois has a total land area of 35,870 square miles and a total water area of 550 square miles. Iowa is known as the Hawkeye State, and its capital city is Des Moines. Iowa ranks 30th out of 50 for population, with a total population of 3,134,693 people. Iowa became a state in 1846. The state flower of Iowa is the wild prairie rose, and the state tree is the burr oak. Kansas was the 34th state to join the country, entering in 1861. The capital city of Kansas is Topeka, and the largest city in the state is Wichita. 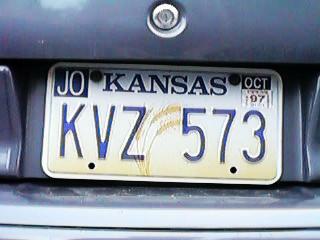 Kansas means "south wind people" in the Sioux language. The state population is 2,907,289. The nickname for this state is the Sunflower State, and the state song is "Home on the Range." Kansas has a total land area of 81,823 square miles and a water area of 459 square miles. The 15th state to join the United States was Kentucky, in 1792. Kentucky has the nickname the Bluegrass State, and its capital city is Frankfort. Kentucky's total population is 4,436,974, and the largest city in the state is Louisville. The cardinal is the state bird of Kentucky, and the state flower is the goldenrod. This state name originated from an Iroquois word that means "land of tomorrow." Kentucky has a total land area of more than 39,000 square miles and a water area of 679 square miles. In 1812, Louisiana became the 18th state to enter the United States. The city of Baton Rouge is the capital of Louisiana, and New Orleans is the largest city in the state. Louisiana has a total land area of 43,566 square miles and a total water area of 8,277 square miles. People call Louisiana the Pelican State, and the state flower is the magnolia. Maine was the 23rd state to become a part of the United States. The capital of Maine is Augusta, and the total population of this state is 1,331,479 people. Portland is the largest city in Maine, and the nickname of this state is the Pine Tree State. Maine has 30,865 square miles of land and 4,523 square miles of water. The state song is called "State of Maine Song." In 1788, Maryland became the seventh state of the United States. Maryland's capital city is Annapolis, and the largest city is Baltimore. The population of the Old Line State is 6,016,447 residents. Maryland's name came from the name of King Charles of England's wife, Henrietta Maria. Maryland's land mass is 9,775 square miles, and the water area is 2,633 square miles. Massachusetts statehood dates back to 1788, when it became the sixth state. The Bay State's capital city is Boston, and Boston is also the largest city in the state. Massachusetts's population is 6,811,779, and its state flower is the mayflower. Massachusetts has a total area of land equaling 7,838 square miles, and the total water area is 2,717 square miles. Michigan has two nicknames: It is known both as the Wolverine State and the Great Lakes State. Michigan joined the Union in 1837 as the 26th state. Michigan's state bird is the robin, and the state flower is the apple blossom. The capital of Michigan is Lansing, and the largest city is Detroit. Michigan's state population is 9,928,300, ranging from Michigan driver's license restoration lawyers to doctors to teachers to retirees and children. The total land area of this state is 56,809 square miles, and the total water area is 40,001 square miles. Minnesota also has two nicknames: People call this state the North Star State and the Land of 10,000 Lakes. Minnesota has 7,326 square miles of water, and it is ranked seventh in the country for water area. Minnesota also has 79,617 square miles of land. Minnesota joined the Union in 1858 as the 32nd state. Saint Paul is the capital city, and Minneapolis is the largest. The state has a total population of 5,519,952 people. The Magnolia State joined the Union in 1817 as the 20th state. Mississippi's state capital is Jackson, and Jackson is also the largest city in the state. The name of Mississippi is Ojibwa for "big river." Mississippi's population is 2,988,726 residents. The state bird is the mockingbird, and the state tree is the southern magnolia. The total land area of Mississippi is 46,914 square miles, and the total water area is 1,520 square miles. Missouri was the 24th state to join the United States in 1821. Missouri's capital city is Jefferson City, and it is known as the Show Me State. Missouri's population is more than 6 million, and the state bird is the bluebird. The land area of Missouri is more than 68,000 square miles, and the water area is more than 811 square miles. In 1889, Montana became the 41st state in the United States. The capital city of Montana is Helena, and the largest city in the state is Billings. The total population of Montana is just more than 1 million people. The land area of the Treasure State is 145,556 square miles, and the water area is nearly 1,500 square miles. The Cornhusker State became the 37th state in the United States in 1867. With more than 76,000 square miles of land and just 481 square miles of water, Nebraska is mainly farmland. The capital city of Nebraska is Lincoln, and its largest city is Omaha. The state has more than 1.8 million residents. The state bird is the western meadowlark, and the state flower is the goldenrod. Carson City is the state capital of Nevada, which entered the Union in 1864 as the 36th state. The Silver State has a population of more than 2.7 million people, and the largest city in the state is Las Vegas. Nevada's state flower is the sagebrush, and the state bird is the mountain bluebird. The land area of Nevada is more than 109,000 square miles, and the water area is 761 square miles. Nevada was the ninth state to join the country, entering in 1788. The land area of New Hampshire is just 8,969 square miles. New Hampshire has 382 square miles of water. The Granite State has a total population of 1.3 million people, and it ranks 42nd out of 50 for population. The state bird of New Hampshire is the purple finch, and the state flower is the purple lilac. The Garden State entered the Union in 1787 as the third state. New Jersey has 7,419 square miles of land and 1,303 square miles of water. Trenton is the capital city of New Jersey, and this state has a population of nearly 8.9 million people. The state flower of New Jersey is the violet, and the state bird is the eastern goldfinch. New Mexico did not join the United States until 1912, coming in as the 47th state. The Land of Enchantment, or so it's called, has a population of just more than 2 million people. Santa Fe is the capital city of New Mexico, and this state has a total land area of more than 121,000 square miles and a water area of 234 square miles. The largest city in New Mexico is Albuquerque. New York's capital city is Albany, and the largest city in the state is New York City. The total population of this large state, which became the 11th state in 1788, is more than 19 million people. The total land area of New York is more than 47,000 square miles, and the total water area is more than 7,000 square miles. New York's state bird is the eastern bluebird, and the state nickname is the Empire State. In 1789, North Carolina became the 12th state of the United States. This state has a land area of more than 48,000 square miles and a water area of more than 5,000 square miles. Raleigh is the capital of the Old North State, sometimes also called the Tar Heel State. North Carolina has a total state population of 10.1 million people. The 40th state of the United States is North Dakota, joining the Union in 1889. Bismarck is the capital city of North Dakota, and this state has a population of 757,952 people. The largest city in North Dakota is Fargo, and the total land area is more than 68,000 square miles; the state also has 1,710 square miles of water. North Dakota's nicknames are the Peace Garden State, the Flickertail State, and the Roughrider State. The Buckeye State joined the United States in 1803 as the 17th state. Ohio has a total land area of more than 40,000 square miles and a total water area of more than 3,800 square miles. The state bird is the cardinal, and the state flower is the scarlet carnation. The state song is "Beautiful Ohio." The Sooner State is also known as Oklahoma. Oklahoma joined the United States in 1907 as the 46th state. Oklahoma City is the capital city of this state, and the population is more than 3.9 million. Oklahoma is a Choctaw Indian word that means "red man." Oklahoma has a total land area of more than 68,000 square miles and a total water area of more than 1,200 square miles. The 33rd state of the United States is Oregon, joining in 1859. This state has a total land area of more than 96,000 square miles and a total water area of more than 2,300 square miles. Salem is the capital of Oregon, and the largest city is Portland. The western meadowlark is the state bird of the Beaver State, and the Oregon grape is the state flower. Pennsylvania boasts the second spot on the state roster, joining the country in 1787. Pennsylvania's state capital is Harrisburg, and the state population is more than 12 million. The largest city in the state is Philadelphia, and the state nickname is the Keystone State. Pennsylvania has a land area of more than 44,000 square miles and a total water area of more than 1,200 square miles. Rhode Island is the smallest state in the Union, with just more than 1,000 square miles of land area and 500 square miles of water. 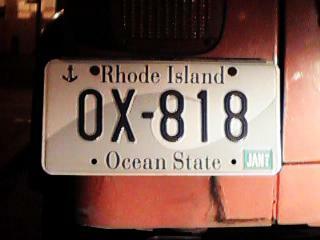 Rhode Island joined the Union in 1790 as the 13th state. The capital of the Ocean State is Providence, and the total state population is 1,056,426 people. Rhode Island's state song is "Rhode Island's It for Me." The eighth state of the Union was South Carolina, joining in 1788. South Carolina's capital city is Columbia, and the largest city in the state is also Columbia. The total state population is 4,961,119, and the state bird is the Carolina wren. The Palmetto State's total land area is more than 30,000 square miles, and the total water area is 1,896 square miles. South Carolina's state flower is the yellow jessamine. South Dakota entered the Union in 1889. This state has a total land area of more than 75,000 square miles and a total water area of more than 1,200 square miles. The capital city of South Dakota is Pierre, and the state's nickname is the Mount Rushmore State. This state's total population is more than 865,000. Tennessee became a state in 1796. The Volunteer State's capital is Nashville. Tennessee has a total land area of more than 41,000 square miles and a total water area of more than 900 square miles. The state bird of Tennessee is the mockingbird. Texas is the second largest state in the United States, with more than 261,000 square miles of land and more than 6,600 miles of water. Texas joined the United States in 1845 as the 28th state. The capital of Texas is Austin, and this state's nickname is the Lone Star State. Texas's population is 27,862,596. In 1896, Utah became the 45th state. Salt Lake City is the capital of Utah, and the state population is more than 3 million people. The Beehive State has a total land area of more than 82,000 square miles and a total water area of more than 2,700 square miles. Vermont was the 14th state in the Union, joining the country in 1791. Vermont's nickname is the Green Mountain State, so named for the mountains that run through this state. The capital city of Vermont is Montpelier, and the population of Vermont is 624,594. The land area of Vermont is more than 9,200 square miles, and the water area is more than 360 square miles. Virginia joined the United States as the 10th state in 1788. The Old Dominion State's capital city is Richmond, and the largest city in the state is Virginia Beach. Virginia's state bird is the cardinal, and the state population is 8.4 million people. The total land area is more than 39,000 square miles, and the total water area is more than 3,100 square miles. The Evergreen State joined the Union in 1889 as the 42nd state. Olympia is the state capital, and the largest city is Seattle. This state was named after George Washington. The total state population is more than 7.2 million people. The land area of the state is more than 66,000 square miles, and the total water area is 4,721 square miles. In 1863, West Virginia became the 35th state to join the country. The Mountain State's capital city is Charleston, and the largest city in the state is also Charleston. The state population is 1.8 million people, and the state bird is the cardinal. West Virginia's land area is 24,087 square miles, and the total water area is 145 square miles. Wisconsin became a state in 1848, joining as the 30th state. Madison is the capital city of the Badger State, and the state bird is the robin. Wisconsin's population is more than 5.7 million people. The total land area of Wisconsin is more than 54,000 square miles, and the total water area is more than 11,000 square miles. Wyoming was the 44th state of the Union, joining in 1890. Wyoming's capital city is Cheyenne, and its nickname is the Equality State. Wyoming's population is more than 580,000 people. The total land area of Wyoming is 97,105 square miles, and the total water area is 714 square miles.